Whether you’re running a tech startup or you’ve been in business a long time, you might assume that assembling your printed circuit boards in-house is the way to go. After all, you might say to yourself, this is the best way to ensure total control over the quality of my PCBs. Unfortunately, trying to handle PCB assembly yourself will likely backfire. Instead of producing superior PCBs, you may end up with subpar products and higher costs. You might not relish the thought of outsourcing your design, but it’s actually one of the best ways to keep your expenses low, while getting the best quality. Here’s why. Many businesses mistakenly believe that the best way to cut costs is to do everything in-house. But that’s simply not the case. If you aren’t an expert, your boards may be more prone to errors — and fixing those errors can be time-consuming and costly. Plus, you won’t be able to produce boards as quickly. Many PCB assemblers are able to have a turnaround time of five days or less, which is 75% faster than the industry average. If you take twice or three times as long to produce your PCBs, you’re losing money. Finally, outsourcing these needs to a turnkey PCB company will free up your time to devote to other aspects of your design. As we mentioned before, outsourcing your printed circuit boards will give you higher quality. Your PCB assembly house likely has access to the machinery, tools, and knowledge that you simply do not. Because PCB assembly shops employ people who are leaders in their field and own inspection equipment that allows them to catch errors quickly, their products are above and beyond what you can create yourself. And because these PCB turnkey solution providers can offer a one-stop-shop approach, you won’t have to worry about taking on any other part of the process and risk negatively impacts the overall quality of the completed projects. When you want to save money and improve the quality of your products, the DIY route can often be a mistake. 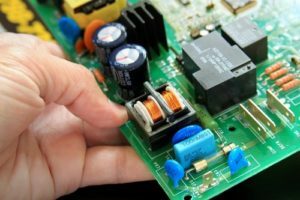 Instead, consider outsourcing your needs to a turnkey PCB provider that can offer everything you need for an affordable rate. To find out more information, please contact us today.